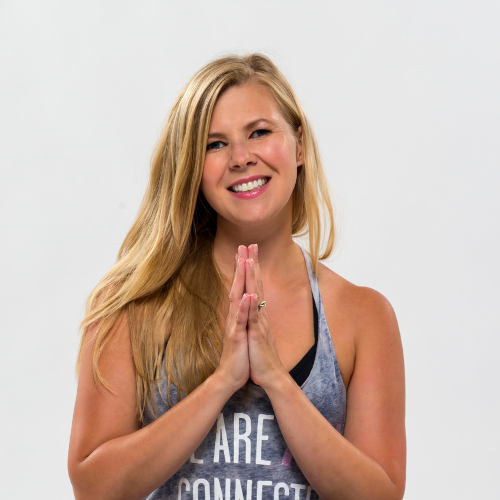 Captivate Vinyasa Training is the most efficient way to become a captivating teacher so that you pack your classes, inspire your students, and teach confidently and authentically without having to teach 10,000 hours to do it. What’s the difference between a good teacher and a great one? Consistently packs classes and has a waiting list to get in? Is sought after by studios and charges more for their classes? Teaches at fundraisers, festivals, and events? Is chosen as brand ambassadors? Is charismatic and inspires their students with their passion and love of yoga? Has a following of students that will follow them anywhere? Vinyasa is on of the most popular styles of yoga and is an essential skill to learn if you want to teach more than one or two classes. Here’s the truth: the market is saturated with teachers making it impossible to stand out…unless you’re great. It’s not enough to take a standard teacher training and think you’ll be a great teacher over night. It can take many years…if it even happens at all. But you can fast track it in only a weekend. You are a yoga teacher or are going through teacher training and want to dramatically improve your teaching without spending 10,000 hours to do it. You want to learn how to teach Vinyasa Yoga, and if you’ve already taken a training, learn more creative ways to teach it. You know yoga changes lives and crave the ability to inspire your students just like you were inspired by your favourite teachers. You love yoga and want to share your love of yoga with as many people as possible by consistently packing your classes. You are ready to captivate your students with swoon-worthy classes. You are willing put in 15 hours (instead of 10k) to master your teaching skills so that you teach more confidently from your heart and become a more powerful inspiring teacher that students flock to like yogi’s to flock to spandex. Then you are in the right place my friend. So, you took your teacher training, or you’re currently in one, why would you take Captivate? As a teacher (or soon to be) it won’t take you long to find out that 200 hours is barely enough time to cover the basics of yoga let alone teach you how to be an effective, inspiring, and compelling teacher. If you are anything like me, you realized that once you got in front of people teaching got a lot more complicated. This training will teach you not only how teach Vinyasa Yoga, but most importantly it will train you how to be a captivating teacher in only a weekend without 10,000 hours of experience to get there. An unforgettable weekend that will instantly make you a stronger, more desirable, and captivating teacher. Step by step fun instruction and discussion to make designing your classes as easy as ordering a matcha almond milk latte. Tonnes of practice teaching with feedback to discover your authentic teaching voice, style, and marketability. Downloadable worksheets to follow along so that you can take everything you learned with you and build on it after the training. The 5 main components which should be in every class Vinyasa class. How to link poses together intelligently so that you teach seamless and easy to follow sequences that make sense to your class structure. How to pace your class so that you keep your student’s attention while giving them time to work the poses without collapsing from fatigue. The 7 basic teaching principles that will set you apart as a master teacher so that your students get more from your classes and rave about them to all their friends. Learn the 8 Principles of Sequencing so that you create magical flows that are intelligent, inspiring, and contain a strong intention throughout. How to be strategic in demoing so that you teach your class instead of practice it. Steal my best practical templates for sequencing a brilliant well-rounded class that you can customize to any audience. Get my step by step method to designing tantalizing classes so that you always teach the right things to the right audience AND have enough time to teach it in. Learn my Super Easy Sequencing Method where you’ll get 8 different creative ways to design and customize dynamic flows so that you never run out of ideas. Learn the 4 rules of teaching alignment so that your cues are always clear and easy to follow. Master the art of cuing so that you lead your classes with concise clear cues that are relevant to the students in front of you. Reveal your authentic speaking voice so that you teach from your heart instead of your head (and start packing your classes because of it). Learn the art of building classes based on themes so that you teach more than just postures and your students keep coming back for more. My name is Tina Hnatiuk and I am a renowned yoga and meditation teacher. 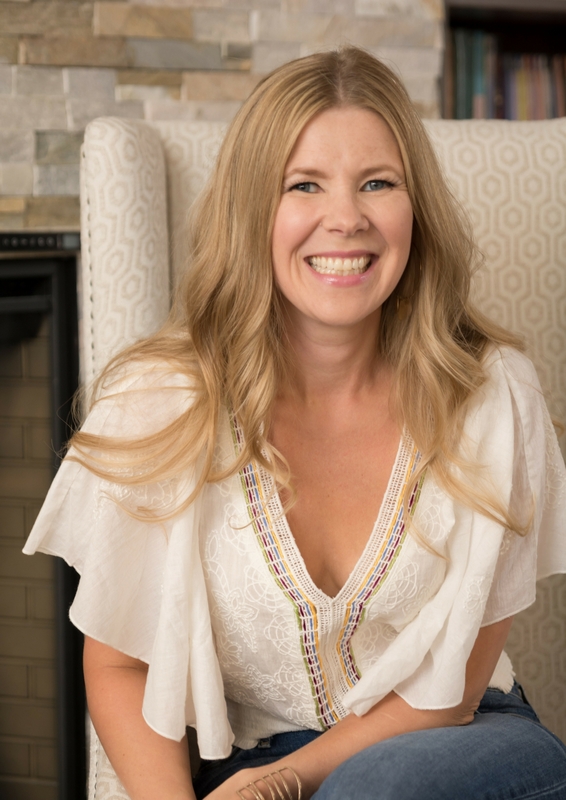 I have over 11 years teaching experience, I have taught over 13,000 hours of yoga and meditation, and I have been a successful sought-after teacher in 2 provinces. I have taught tens of thousands of students, have built a following all over western Canada, and been invited to teach at multiple yoga festivals including Prana Yoga Fest in Calgary, Sask Soul Fest in Regina, and Camp Yoga in Canmore. My meditations are also featured on Insight Timer, the largest meditation app in the world. I have inspired hundreds of my students to become teachers themselves, and thousands more to fall in love with the life changing practice of yoga. I started this training because I was tired of seeing good teachers that were struggling because they didn’t have the secrets to becoming GREAT teachers. Teachers that not only lead intelligent clear classes but captivate, inspire, and teach confidently from the heart. This is where the magic is…and what makes your students love you and follow you anywhere. I was a popular teacher in Calgary before moving to Saskatchewan teaching at multiple gyms and studios, and it only took 6 months for me to pack my schedule (and classes) in a new city. I have not worked for anyone else since I started teaching yoga over 11 years ago and enjoy making great money doing it. I’m one of the highest paid and most sought-after teachers in Regina. I’ve been called a “teacher’s teacher” because I have inspired so many students to become teachers themselves and they continue to come to learn from my expertise as a teacher. My first class I taught, I stood in front of the class with my hands at my heart and instructed them to find their breath…so I could find mine. I’ve been receiving really good feed back for all the little tweaks and changes I made to my teaching since your training!! I have also put way less effort into planning and been able to move with a higher intuition in the classes!! I have noticed such a difference from not practising at all while I teach, feeling I am able to support the group in a much more effective way. Also, have brought more laughter and lightness into the practice as well as bringing more focus to making people feel good…not just look right in a pose!!! Tina’s training not only gave me the tools I needed to teach a successful class, but also the confidence I needed to stand in front of a room of people and share my passion. After taking Tina’s Vinyasa teacher training, I know that I’ll be able to create (and enjoy creating) amazing classes! I also know now, that I have the courage to be a teacher and not just mimic previous instructors. This workshop was full of learning, inspiration, gaining confidence, and skills. I found it very powerful, both personally, and as a teacher. It was well rounded, covering all aspects of teaching. The weekend helped me grow as a person, and as a teacher – very powerful stuff! This training was so well rounded and the content so informative. She showed me how to use the tools I already have and gave me so many more tools to help me become a better teacher. On top of the knowledge she delivered she created an amazing and safe environment, allowing the class not only to learn from her but also from each other. I would recommend this training to anyone at any level. Tina’s workshop has allowed me to connect with my voice, gave me confidence as a teacher and helped me connect with other students and teachers like me by experiencing the same insecurities. Beautiful environment, beautiful people, and a beautiful teacher. Very grateful for my experience. Peace, love, unity, respect! This training was so much more than a breakdown and an outline of how to teach a vinyasa class. Tina has a way of showing you the best parts of yourself. The change I witnessed in everyone, myself included, over the course of the weekend was so remarkable and I know this level of transformation was really made possible because of Tina’s gifts as a leader and a coach. I’m so thankful to Tina for pushing me to do things I didn’t think I could and giving me the space and encouragement to surprise myself in my abilities. I got so much more out of this workshop than I ever expected, I came in so nervous and left excited to start teaching. If I could some up the weekend in a few words I would say, “Wealth of knowledge”. I truly feel filled up by all the wisdom you have imparted to us during this training! It was clear your intention was to infuse the best of all you have learned over the years to make us better teachers!! I feel very blessed by this training as I know you went above and beyond! ..and once you have seen it with your own eyes, I promise you this…You will never go back to your old ways again. Captivate Vinyasa Training is THE ONLY yoga training designed to make you a more captivating teacher so that you pack your classes, inspire your students, and teach confidently and authentically without having to teach 10,000 hours to do it. Know any other teacher training that teaches you how to teach dynamic engaging classes on the fly? Know any other teacher training that teaches you how to captivate, inspire and confidently teach from your heart without teaching only your friends and family? Know any other training that dramatically improves your cuing and teaching skills even without 10,000 hours of experience? OR You could take another local intensive training and spend $1000- $8000. Not resolving the underlying problem of how to improve your teaching skills. Needing to do spend thousands of hours teaching to improve it. Not fill your classes or make the impact you want to be making. With Captivate Vinyasa Training you are not only saving that money but also getting the ironclad assurance that you’ll dramatically improve your teaching skills in only a weekend. The only thing standing between you and becoming a captivating teacher is Captivate Vinyasa Training. You can try to figure all this out your own, and whine, complain and grumble about the slow progress, the unknown, and the sheer frustration of trying to piece together a million things and teach a million hours. OR you can choose to say YES to my offer (and save yourself years of trial and error + super expensive mistakes). You can choose to say yes to a 15 hour weekend training that trains you how to become a captivating teacher so that you pack your classes, inspire your students, and teach confidently and authentically without having to teach 10,000 hours to do it. Teaches you how to teach dynamic engaging classes on the fly. Trains you how to captivate, inspire and confidently teach from your heart without teaching…not only in front of your friends and family. Dramatically improves your cuing and teaching skills even without 10,000 hours of experience. Captivate Vinyasa Training is THE most comprehensive, system out there. Just over $1 a day or teaching only a week’s worth of yoga classes. To go from nervous and under confident to a captivating teacher that packs classes, inspires students, and teaches confidently and authentically. Trains you how to captivate, inspire and confidently teach from your heart without teaching only your friends and family. 15 HOURS IS ALL IT TAKES TO TRANSFORM YOUR TEACHING. Just over a $1 a day or teaching only a week’s worth of yoga classes. When you really think about it, to becoming a captivating teacher that packs classes, inspires students, and teaches confidently and authentically, this is a tiny blip on the graph compared to staying a nervous underconfident teacher. Within the next year, you can either save this tiny amount of $1 day.